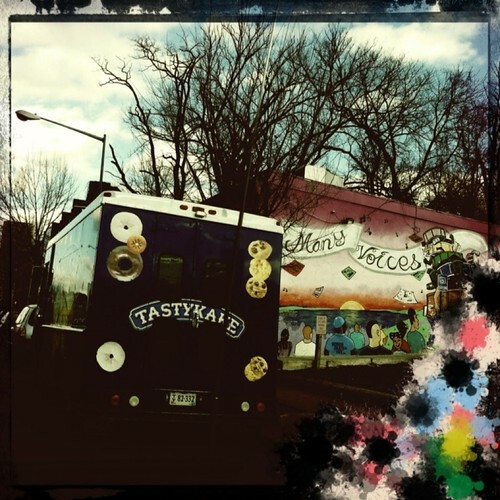 TASTYKAKE on MLK Ave #1, a photo by aeleazer1(Busy,Off/On)!!! on Flickr. Just Passing the Breeze on MLK, a photo by aeleazer1 (Busy, behind, catching up) on Flickr. 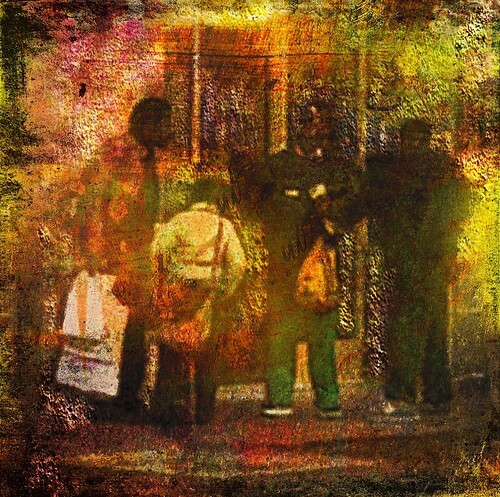 Crossing the Street #1, originally uploaded by aeleazer1. 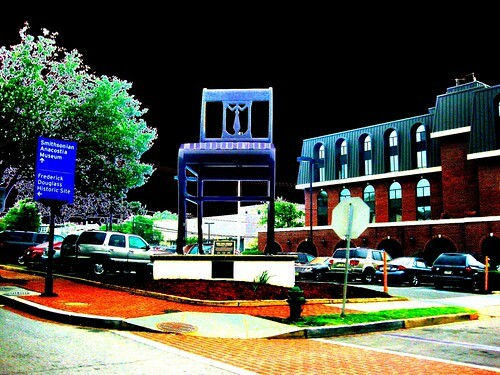 The Big Chair, “once was The Worlds Largest Chair” MLK ave., Historic Anacostia SE, Washington, DC #1, originally uploaded by aeleazer1. Click here to view large on black. The Big Chair, “once was The Worlds Largest Chairs” a 19 1/2 foot tall replica of a Duncan Phyfe model chair was built in 1959 by the Virginia-based Bassett Furniture company for Curtis Brothers Furniture as a promotional ploy after being conceived by Charles Curtis, the brother of the company’s president, as a way to draw customers to the family’s furniture showroom. 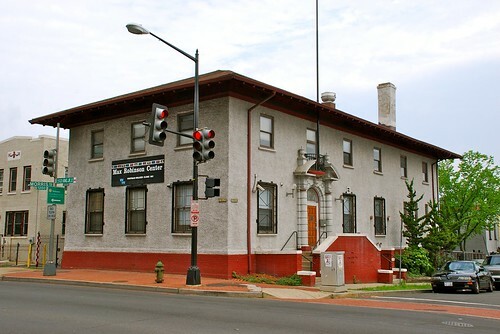 Curtis Brothers was once a well-known furniture retailer whose warehouse, showroom and offices were at what is now V Street and Martin Luther King Jr. Avenue SE, and then on Nichols Avenue. On August 23-24, 2005, the chair was pulled apart with a backhoe and removed for restoration due to rot eating away at its legs and back. On April 25, 2006 the current owners, Curtis Properties Inc., introduced a rebuilt version, constructed from brown-painted aluminum. 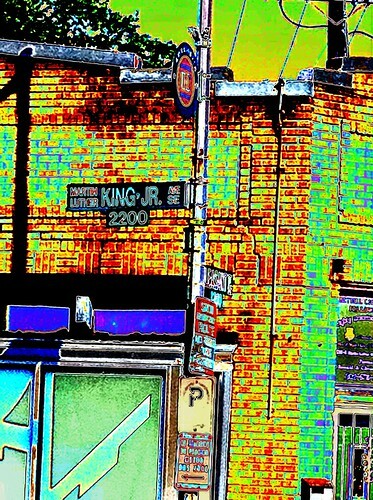 MLK ave. Street Sign , Historic Anacostia SE, Washington, DC, originally uploaded by aeleazer1. 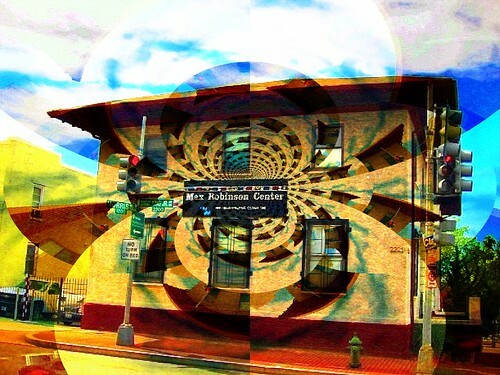 Max Robinson Center, Martin Luther King ave. , Historic Anacostia SE, Washington, DC #1, originally uploaded by aeleazer1. 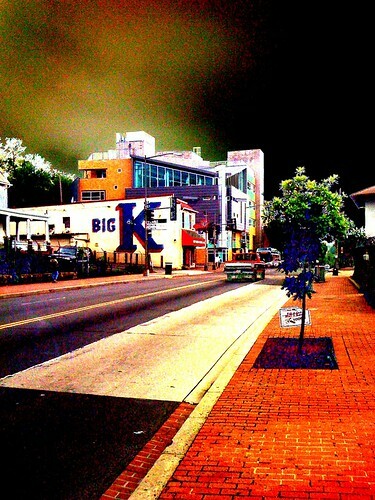 BIG K, MLK ave. Historic Anacostia SE, Washington, DC #1 Ultra color, originally uploaded by aeleazer1. Heart on Fire! 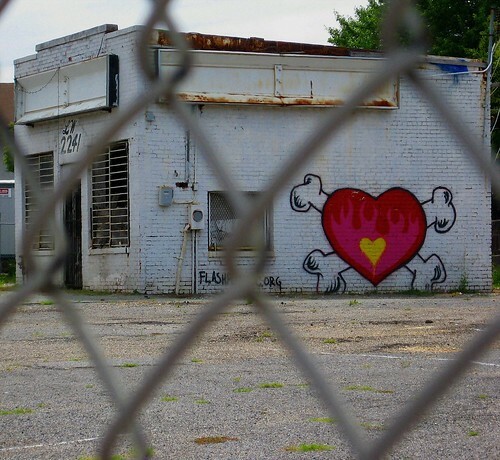 Graffiti on building, MLK ave. 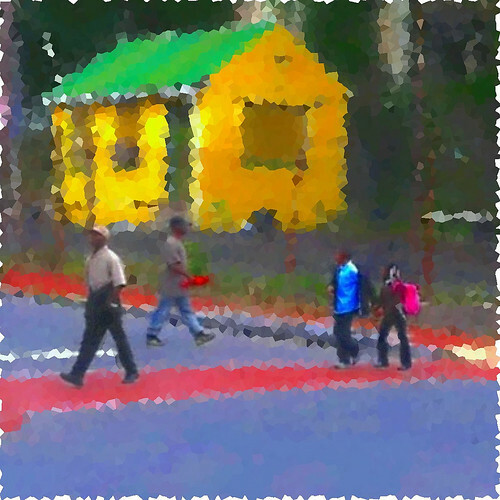 Historic Anacostia SE, Washington, DC #1, originally uploaded by aeleazer1. 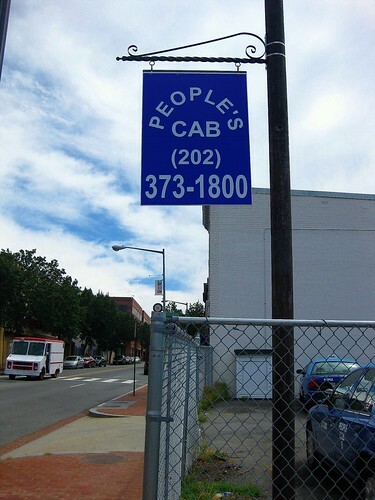 The People’s Cab, MLK ave. Historic Anacostia SE, Washington, DC #1, originally uploaded by aeleazer1.